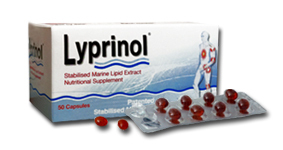 Lyprinol is a natural, highly purified oil extract from the Green-Shelled Mussel. Known scientifically as perna canaliculus, the Green-Shelled Mussel comes from the pristine waters of the Marlborough Sound in New Zealand. As a combination of omega 3 essential fatty acids, the all-natural extract in Lyprinol has been proven to be stable and beneficial to the overall health of your body.